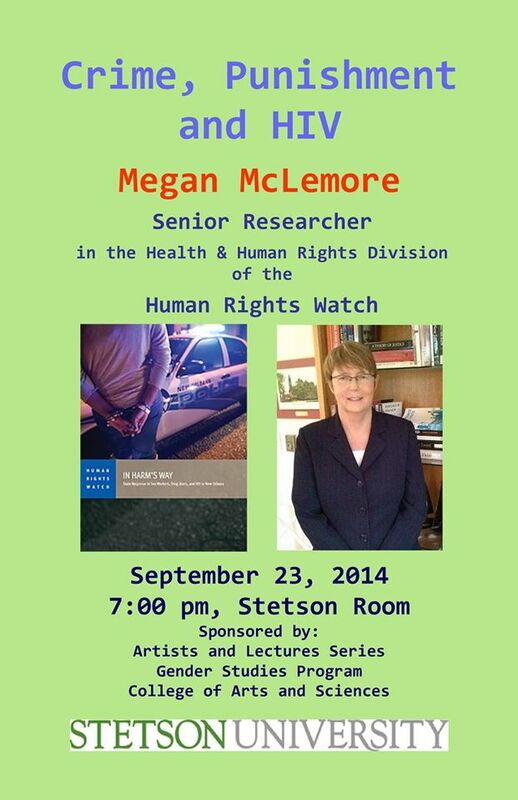 Megan McLemore, an attorney and senior researcher in the Health and Human Rights Division of Human Rights Watch, is giving this public lecture on Tuesday, Sept 23 at 7pm in the Stetson Room. It is a cultural credit event for Stetson students, so don’t miss it! For further information contact Elisabeth Poeter at epoeter@stetson.edu, or (386) 822-7280.